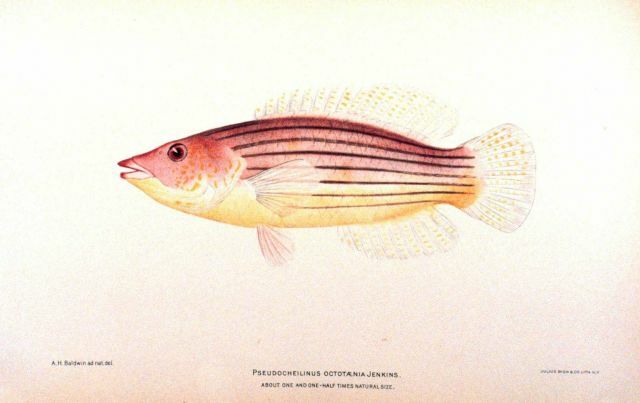 Pseudocheilinus octotaenia Jenkins. In: “The Shore Fishes of the Hawaiian Islands, with a General Account of the Fish Fauna”, by David Starr Jordan and Barton Warren Evermann. Bulletin of the United States Fish Commission, Vol. XXIII, for 1903. Part I. P. 574, Plate XXXVII.